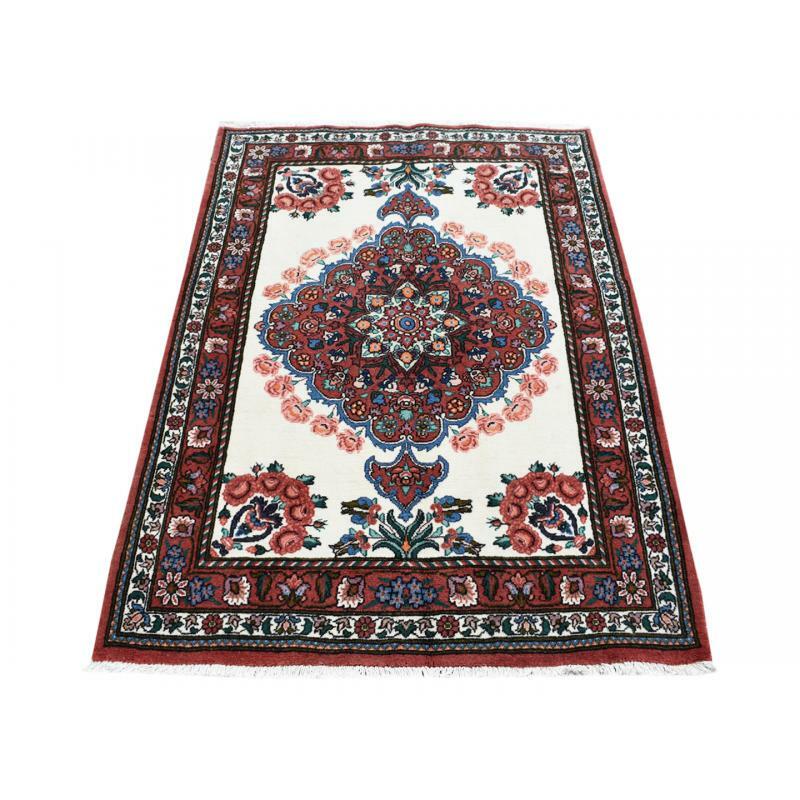 Add Persian roots to your home decor by this unique, handmade and hand knotted rug made by using 100% pure wool, intricately handwoven by skilled craftspeople in Ivory background, red border color. 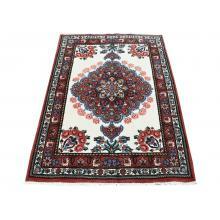 The design shows an open field medallion, flower motif which looks bright and beautiful in any home schemes. 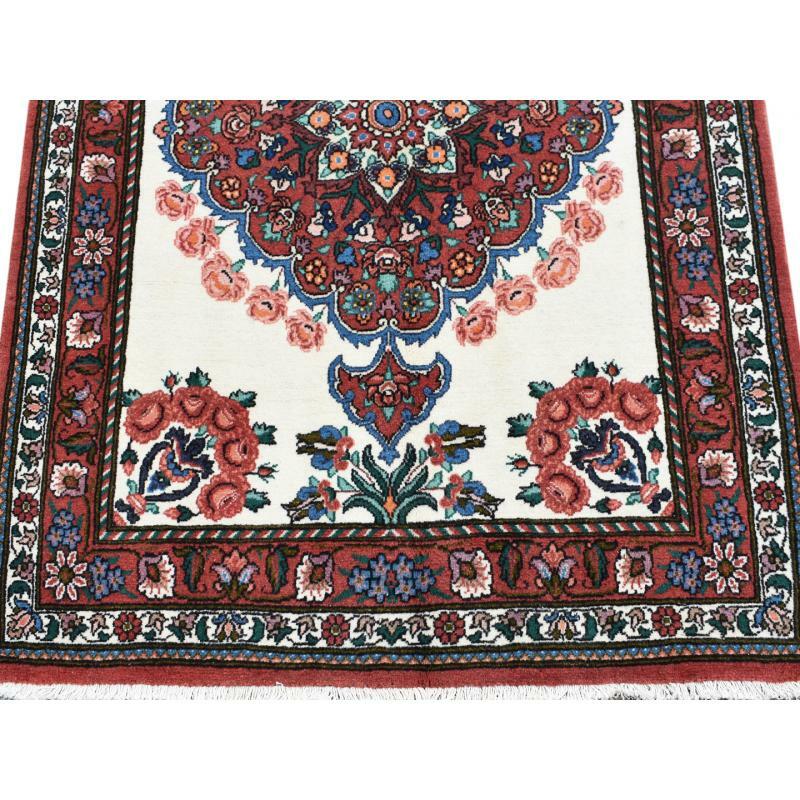 Measuring 3'3'' X 5'4'' ft., this rug will definitely add a charm and a soft, natural feeling to your home.